Barlean's Total Omega Lemon Crème has a sweet taste and creamy texture. 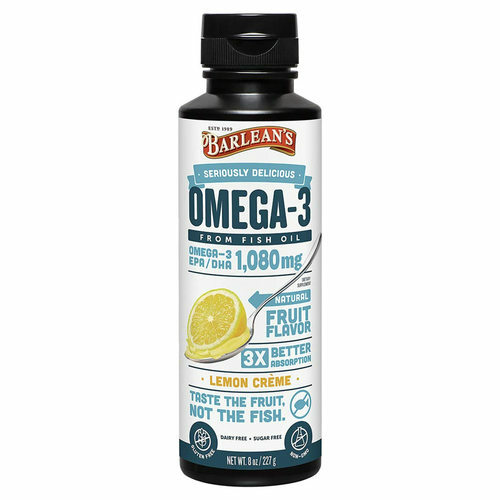 Barlean's uses only ultra-purified fish oils, free of mercury and other heavy metals. Their emulsified formula is absorbed better than traditional oils or softgels, so you get more of the Omega-3s and GLA you're after with no fishy after taste. Warnings: Keep out of reach of children. Do not give to pets. Notes: Refrigerate after opening. Free of gluten, dairy, and sugar. Non-GMO. 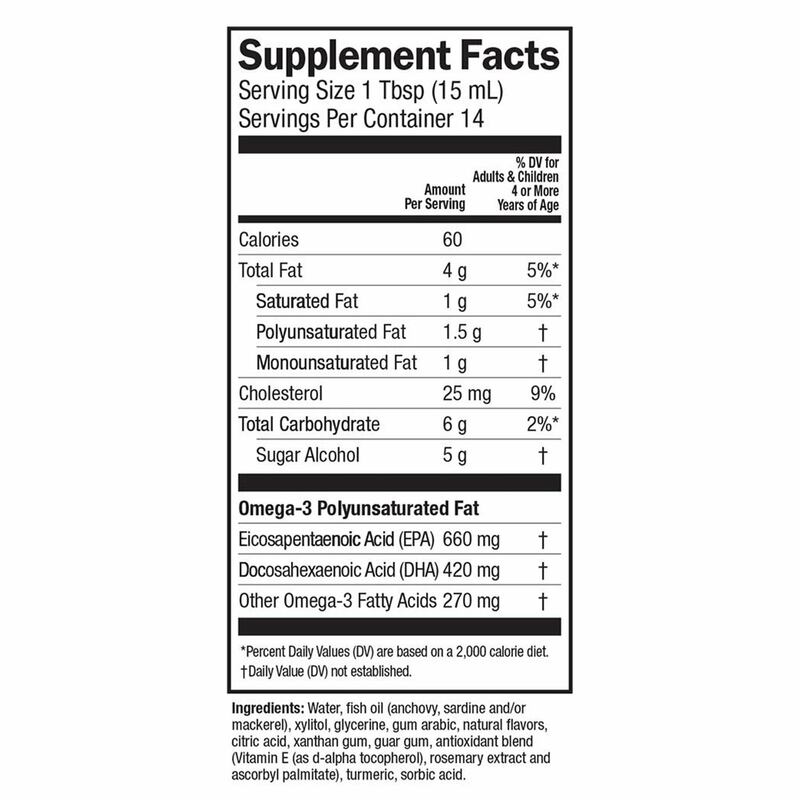 Other Ingredients: Water, fish oil (anchovy, sardine and/or mackerel), xylitol, glycerine, gum arabic, natural flavors, citric acid, xanthan gum, guar gum, antioxidant blend (vitamin E ( as d-alpha tocopherol), rosemary extract, and ascorbyl palmitate), turmeric, sorbic acid. 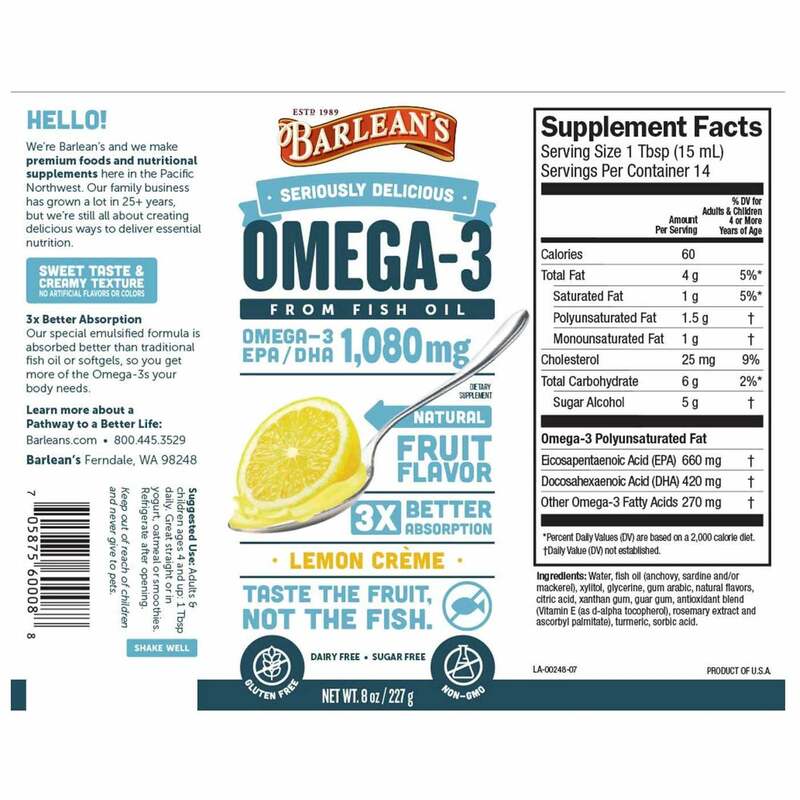 The customer reviews posted below are based on individual consumer experiences and may NOT necessarily represent what expected results will be from using or taking Barlean's Omega-3 Fish Oil Lemon Creme - 8 fl oz. These results may not be typical and you should not necessarily expect to receive the same results. Actual results may vary. Best Fish Oil Supplement out there! If you have to take fish oil, take this! There is absolutely no fishy taste to it and no side effects.